Why are industry leaders using remote sensors? Wet-to-wet differential pressure transducers have undergone several significant design and technological improvements recently. The most dramatic of which is the ability to install these units with remote sensors, rather than with traditional embedded sensing elements. A contractor can now easily install remote sensors directly into the pipes while an electrician makes electrical connections between the remote sensors and the transducer via cables or conduit. For industrial applications, contractors can order plumbing-ready cable versions with up to 30 feet of cable. When the local electrical code requires conduit, typically for projects like schools or municipal buildings, contractors can order units in the conduit version. Startup time is reduced because purging air from the lines prior to startup is no longer necessary. 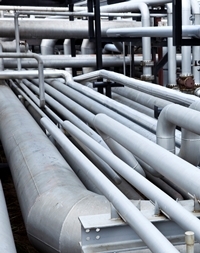 A pipefitter is not required; reducing labor cost by one third. A typical job has upwards of 15-20 wet-to-wet differential pressure transducers, which means contractors can save up to one hour of labor per sensor on installation. With typical labor rates ranging from $85-100/hour or more, costs—or savings—can mount up very quickly. Contractors using state-of-the-art transducers with remote sensors have a competitive advantage. 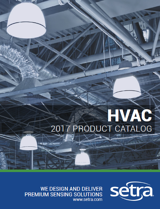 This is an important consideration in the extremely competitive HVAC business, where contractors can bid more aggressively on jobs because their install time is now significantly less per sensor. Leveraging this competitive advantage increases the contractor’s bottom line without sacrificing performance. Another financial benefit to contractors is reduced parts inventory. Contractors that stock their shelves and trucks with multi-range units for both dry and wet media will carry less inventory, yet be more prepared for almost any wet- or dry-pressure installation. Reducing unnecessary transducer inventory can save contractors thousands of dollars a year in lost profits. Learn more about wet-to-wet differential pressure applications and the benefits of remote pressure sensors. Download this free whitepaper.